About 1500 employees of the Road Accident Fund downed tools today, starting indefinite strike action against the organisation due to salary grievances and a lack of communication from management. Tomorrow the aggrieved employees will march to the department of transport in Pretoria, where they will hand over a memorandum of demands. Acting spokesperson for the National Union of Metal Workers of South Africa (Numsa), Phakamile Hlubi, told City Press that the strike action was directly related to the lack of urgency the RAF had shown towards its employees since it was discovered earlier this year that the fund had racked up debt worth R8.2 billion. “All Numsa members who are in the employ of the RAF have begun strike action today. We have found ourselves in an absurd situation where the fund is unable to pay out vulnerable citizens who have been victims of road-traffic incidents,” Hlubi said. Numsa claimed that the management of the RAF were blocking their attempts to fight for a living wage. “The lowest paid worker is forced to survive on R5000 after deductions, while executives like Eugene Watson earn more than R5 million a year,” Hlubi said today. Watson, who is RAF chief executive, said that Numsa’s reasons for going on strike were “unreasonable and without merit”. 39% of employees at the RAF are represented by Numsa, a figure of 797 employees at the organisation according to Hlubi. 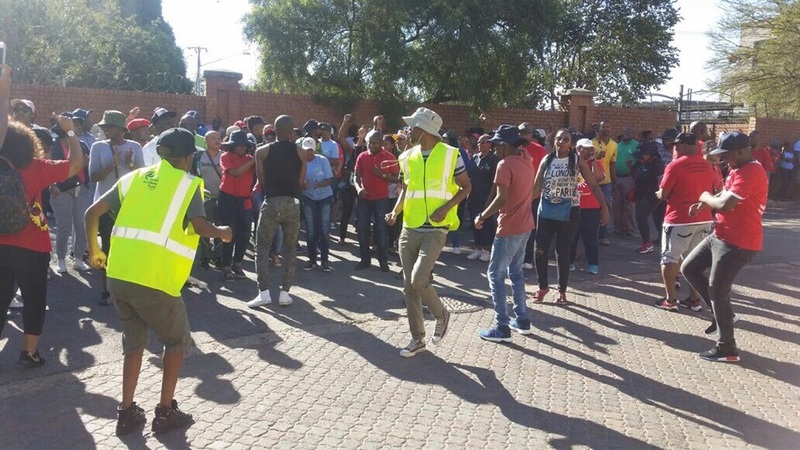 “Employees at the organisation who are not even affiliated to any unions have also joined in the strike, as they are just as aggrieved, bringing this total figure to about 1500,” Hlubi told City Press. Hlubi believed that poor corporate governance was to blame for the problems at the fund. Hlubi also purported that after the RAF had suspended its bargaining council, it was a direct call not to engage with its employees. “How are employees meant to work and be productive after items like laptops and desks have been attached to the sheriff’s court?” Hlubi asked. Linda Rulashe, senior media manager for the RAF told City Press that about 150 employees were picketing nationally today. RAF chief executive Dr Eugene Watson said that Numsa’s reasons for going on strike were “unreasonable and without merit”. “Numsa’s demands are rooted in their insistence that the RAF adopt unverified, nebulous proposed salary scales, which the fund cannot accede to,” Watson said. Between March 4 and 6 this year, the RAF and Numsa were involved in a CCMA case regarding salary disputes, which was unresolved. “Despite the RAF’s best efforts to resolve the matter during mediation at the CCMA on the 4th and 6th March, the RAF and union reached a stalemate. A certificate on non-resolution was then issued by the CCMA. A “no work, no pay” principle will apply while no overtime will be granted to employees who are on strike,” Watson said.